We found this fun infographic on Facebook, and it is so helpful! See the original post here. 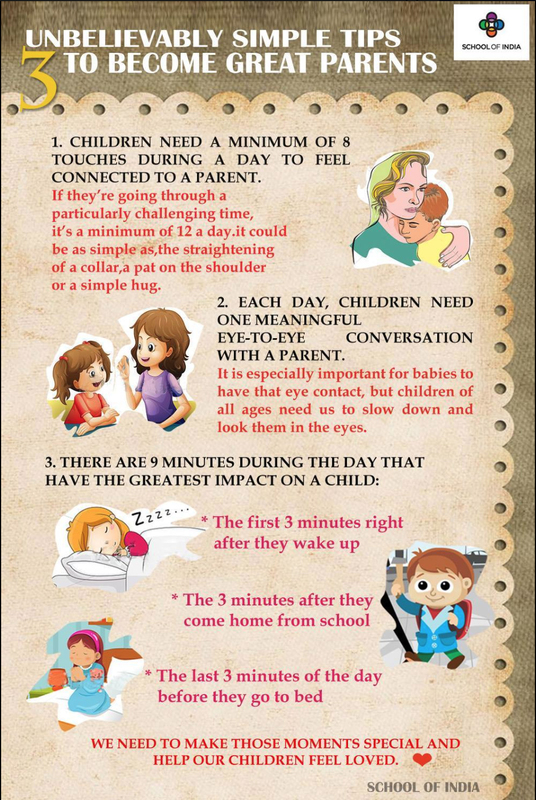 Children need a minimum of 8 touches during a day to feel connected to a parent. Each day, children need one meaningful eye-to-eye conversation with a parent. The first 3 minutes right after they wake up. The 3 minutes after they get home from school. The last 3 minutes of the day before they go to bed.